September, AD79. In Ostia, near Rome, Flavia Gemina the sea captain’s daughter, Nubia the African girl, and Lupus the mute boy are celebrating their friend Jonathan’s birthday. Then a visitor from the past turns up to see Jonathan’s father. Next day the visitor has disappeared, and so has Jonathan. 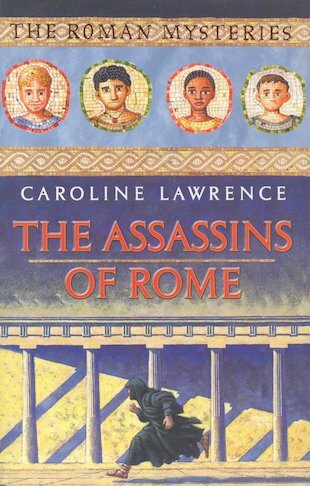 His friends realise that he has gone on a secret quest to Rome, and they are determined to find him. Their dangerous mission takes them to the Golden House of the Emperor Nero, where a deadly assassin is at work. The latest of the Roman Mysteries is the darkest yet, as the four friends learn about the terrible destruction of Jerusalem, and its impact on Jonathan’s family.